Celebrate the birthday of a living legend with an All-New, All-Different, ALL-FREE commemoration of 75 years of Captain America! From fans' first impression of Steve Rogers socking evil in the jaw, to Sam Wilson wielding the shield today, this magazine has it all - bringing you fully up to date with Cap's comics and films! 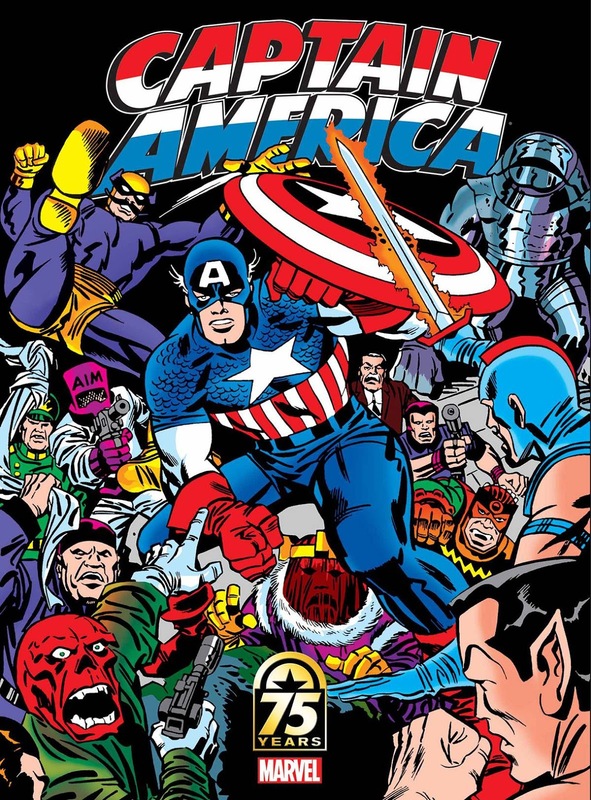 From a guide to the firmest friends and fiercest foes of Cap's storied history, to an in-depth look at his timeless costume, to features focusing on some of the finest creators ever to write or draw the Sentinel of Liberty - including John Romita Sr., Mark Gruenwald, Mark Waid and the King himself, Jack Kirby! Do your patriotic duty and take home this FREE slice of red, white and blue. Happy birthday, Captain - we salute you! IMPORTANT: The free copies (that do have Kirby art on the inside) have a Movie Photo cover. The Kirby Covered copies cost $9.99. I'm guessing it has something to do with the Kirby Estate. WHAT IF KIRBY CREATED DEADPOOL? !